Louis Vuitton’s first wearable, its new Tambour Horizon watch, is not made for the casual smartwatch wearer. 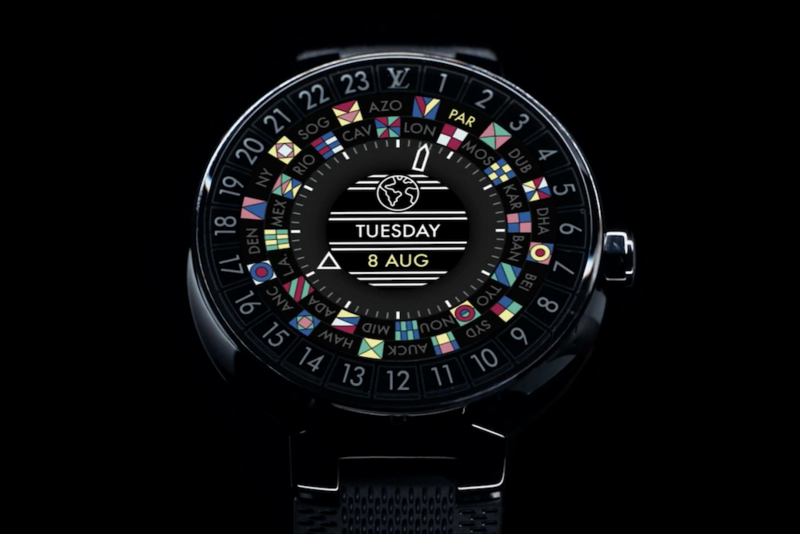 Designed for world travelers, the luxury timepiece is the most expensive Android smartwatch on the market. While different versions of the watch vary in price, the cheapest (in stainless steel) costs $2,450. The watch runs Google’s smartwatch operating system, Android Wear 2.0, but is compatible with both iPhones and Android devices. The Tambour Horizon is customizable, as Louis Vuitton plans to sell 60 different straps compatible with it. According to the company, the watch is waterproof up to 30 meters and has a battery capable of lasting about 22 hours. The luxury device is geared toward global travelers, who will be able to add upcoming flights and view a 24-hour clock that displays the weather and temperature in different locations.